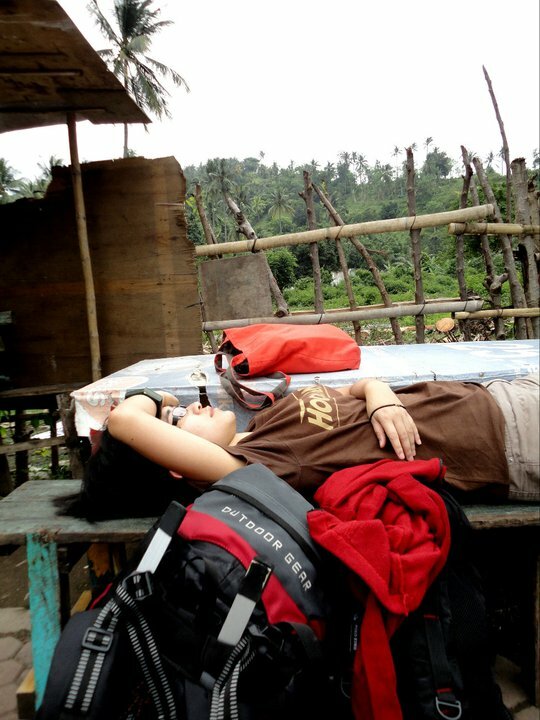 This is not a cute snapshot of me napping in one of my backpacking adventures. Instead, it was a photo of me in a complete state of helplessness after being seasick for an hour, crossing a strait in a tiny rickety wooden boat, topped with another hour of being carsick to get to an eatery from the harbor. By the end of those two hours, my hands were cold, my lips were bluish, and my legs have become so weak from crouching in a fetal position that I had no option but to lay myself down the first bench I saw after exiting the cab. As Twosocks mercilessly snapped the shutter, I kept thinking that from then on I need to stop acting crazy and swear off traveling. Even when you are lucky enough to be free from all the sickness, there is the dealing with extortion bit, like that time when a train conductor in Cefalu tried to fine me and my friends for failing to punch in our ticket before hopping into the train even when he was waiting at the platform next to us before the departure. There is also the part when you are chastised for not speaking the local language, which happened to me in Madrid’s biggest train station and anytime I was in Central Java for more than three days. The worst is perhaps when your stuffs go missing/are stolen, like when I lost over 10,000 rupees for no reason in Bangalore. Hm, maybe not so. The worst is when you had to face humiliation, like being the only one wearing a lifejacket in an open-sea-snorkeling trip in the Gilis – and the only Asian in the boat, too! Traveling is not glamorous and all fun. It is full of inconveniences. That, my friend, is the truth about traveling. Now back to that bench. As I braced myself for another taxi ride to the airport, I started to think that I may not be cut out for traveling. On top of everything, I am also accident prone – so much that the following things have fallen on top of my head for no good reason: a cactus, a ceramic tile, and a metal bike handle. Obviously, I don’t handle traveling as well as Twosocks, for instance, who was cheerfully chatting with the cab driver while I was hugging the front seat to redeem my nausea. 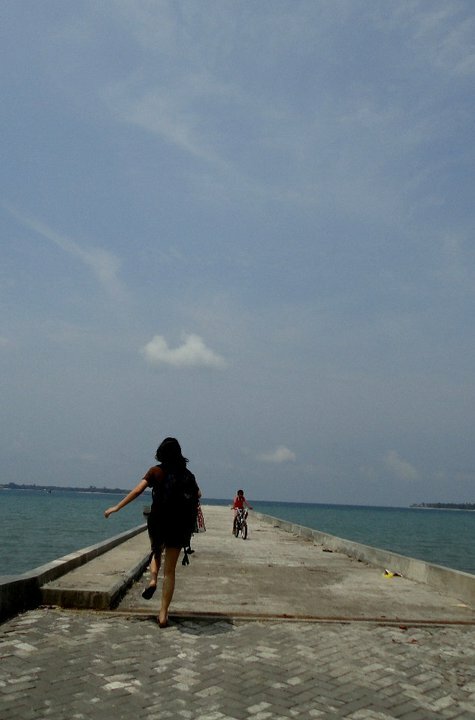 Should I finally give up on traveling? I was taken aback by my own sudden change of heart. And that’s when it hit me – time heals my traveling pains pretty fast. By the time I am back, I am left with amazing photos, stories, and memories where the annoying parts cease to matter. After some time, the most painful events will be the ones I remember the most and joke about with my friends – like that time when we almost froze in Brussels Zuid’s train station or when we almost died in Lisbon. Traveling has its pains, but perhaps that’s also a reason why I keep doing it: to challenge my own limits. Maybe I am cut out for traveling after all. Maybe it’s not a matter of being lucky enough to escape all the hassles, maybe it’s more about still wanting to run to the next destination even when you were so beaten up by the inconveniences traveling throws your way. And that my friend, is the truth about travelers. Happy New Year, Dusty readers. I’m back! How true. 😀 By this time, the only place that didn’t make me sick at all ‘though I went here and there in a day only South Sulawesi (I went around Rappan, Toraja, Kedatuan Luwu, Sengkang, and else). Guessing you have visited these places too, no?